Realistically studio painting and en plein air work can have very different approaches in painting indeed. The freedom to take your time in the studio, slowly work your way through your paintings can, as seen here, create a very different approach to any painted outdoors. This might not have been the initial intention (and it certainly wasn't for me on this occasion) but the results speak for themselves. 'Soft light through Staithes' took me 2 days to complete whilst the en plain air painting took half a day to do one sunny day in October. So, which is more successful - the studio painting or the outdoor one? well, that is a matter of personal choice and one which I give to my galleries and thus my buyers too. both seam to satisfy a particular market. On a personal quest though the future direction with my work is to combine both the 'look' of the studio painting with that all important vigorous, 'must do it now before it rains' approach created in the field. Achieving a happy equilibrium somewhere in the middle with both 'styles' will answer my own questioning self analysis about my work concerning pushing any given work that bit too far. Adding too much detail and presenting too much information (less is more remember) 'blows it' for me. The ambiance and soft light in the 2 day painting is just what I wanted to evoke and yes, it does have a keen sense of place when looking at it which is what I wanted to achieve. The composition 'keeps you there looking at it', holding your attention and exploring - so that is a success too. 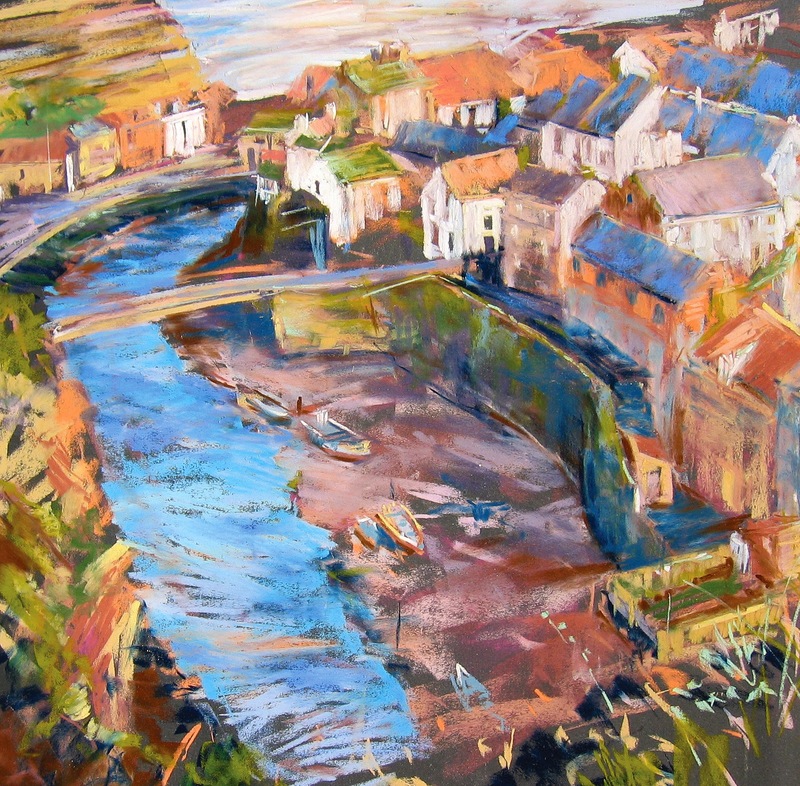 So what's next for any other unfinished Staithes paintings left in the studio? Well, to take them back in front of the subject will be a great help and putting a stop clock on in the studio when painting others - another approach.